Cinematic videography with 2ND II NONE PRODUCTIONS is centered in creative visual storytelling for your wedding day and celebration. From beginning to end, your wedding day will be full of emotions, experiences, family and friends and your wedding film will be the full record of this day in all of its glory. Our talented teams of wedding cinematographers carefully craft each of our wedding films to reflect and embody our client’s personalities and love on one of the most unforgettable days of their lives. Watch your video on the go – ANYWHERE – laptops, tablets, or smartphones - have your wedding video at your fingertips to show the world ON DEMAND. Share your memories – Give your wedding video to everyone, your parents, grandparents, aunts, uncles, brothers, sisters, cousins, bridal party members, every guest in attendance, let them remember and relive your amazing wedding day, talk about a great wedding favor.  Preserve and Archive – More than just a digital streaming service, the entire movie experience is 100% downloadable allowing you and your guests to save unlimited copies of your movie to keep FOREVER. A Moment in time. your moment.